Home GuidesEmployees How To Achieve Success In Your Career With The Help Of Social Media! How To Achieve Success In Your Career With The Help Of Social Media! The saying “It’s not what you know but who you know” makes all the difference. Today, there are more ways than ever to influence getting a job than there have ever been. Thanks to social media, the people who know about you have increased. Social media provides the necessary tools to empower you to get ahead of the rat race, and is proving to be invaluable for career success. Social media is all about soft sell and this leaves an impact on people’s mind, thus building your brand. You will have to become an invaluable asset to others and be the person they go to for a specific skill. 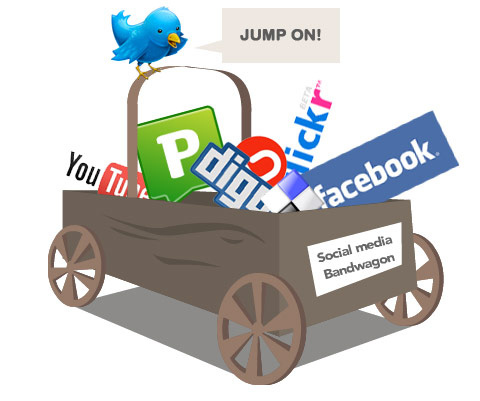 Use free social media to advertise your brand and position yourself as a provider. This is how you are connected to human resource managers who are hiring, recruitment agencies and business owners. You have to establish your online identity through social networking profiles, blogs, videos and podcasts. They are a source for people to find and connect with you. You can use these social media tools to project the appropriate image and be hired for a position that is aligned with your interests. Most prospective employers use social media to find the person they are looking to hire. This is free and inexpensive sharing of your accomplishments with the world and your prospective employers. The main investment is your time. Time to jump on the social media bandwagon. 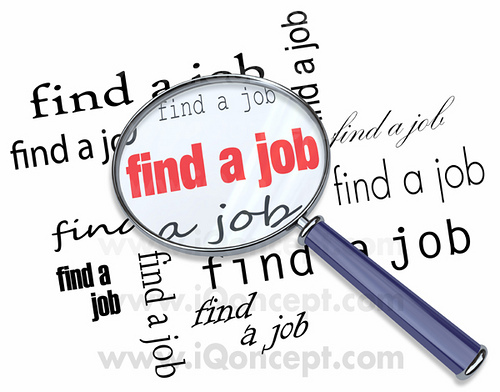 It is no longer enough to just list your qualifications, jobs and titles held in your resume. This does not do a good enough job of giving a clear picture of who you are and what you are capable of. It has become important to post more information about you online. Your profile on social networks is a resume of sorts. This is a place where employers network with fellow professionals and find people to hire. Put this to the best use in an attempt to attract employers. For ex: LinkedIN. Just creating a profile and leaving it is not going to do the job. People come to know more about you through repeated interactions. Social networks are places to understand someone’s personal interests, tastes and learn about their professional proclivities. When choosing a social network, it is important to look at the volume of that particular network, as you want to market yourself in a network where a lot of people are already searching for people with expertise. Social networks like Twitter, Facebook, LinkedIN, YouTube, FriendFeed, Flickr, Delicious and Digg have millions of users that can share your profile, resume and blog entries. This can get you a whole lot of exposure and may help you find the perfect job you are looking for, even without applying for one. There are many executives on good social networks like LinkedIn. Even Bill Gates is part of this network. 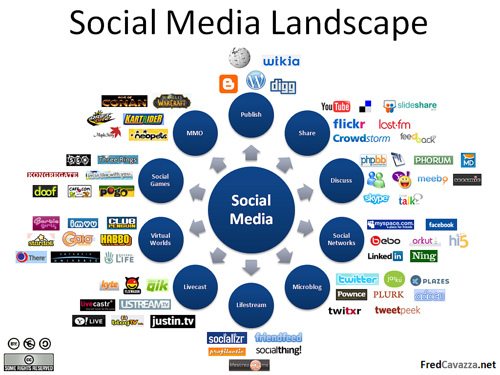 It also helps to use social networks that are relevant to your industry. For example, doctors can use networks like “Medical Mingle” while real estate agents can use “Active Rain.” There are many more where you will meet people with similar skills and interests. If you haven’t thought of creating your own blog, then you must. A well-built blog can be responsible for hundreds of inquiries. Blogging about stuff that you are skilled in and passionate about is almost like writing out your experience for a resume line by line; and it makes it much more interesting than a resume. You can consider adding your picture on the main page. Make your “About” page interesting and write about who you are and what your job skills are and your email for people to contact you. The saying that a picture is worth a thousand words holds true and putting up a video of yourself is a great and innovative way to reach people. People get a chance to see you, how you act and understand your confidence. Videos are the missing piece of the whole recruitment process and a brilliant idea. Marketing yourself is extremely important to achieve success in your career. Most people just create profiles and blogs and don’t bother marketing them. Creating content and just having social networking profiles is not enough. The time you invest in marketing is going to be much more than the actual creation. There are many ways you can market your brand. You can join social networking groups or fan pages and meet people who may be interested in your services. You can comment on related blogs and use backlinks to get people to your blog. Before investing your time on social media to achieve success in your career, you will first have to spend time on the most crucial aspect of personal branding. You will have to choose a picture that best represent you and fill out profile fields with a summary of your work experience and personal interests. Make sure that readers will find you interesting. Your personal brand statement has to tell the works who you are and what you do. Be honest in everything you do online. Now time to start building your presence online through social networking sites and blogs. Creativity is a blessing from nature but we can develop it by careful planning through education. This is all the more important in a country like USA where we accept even the mediocre to contribute their best and create something new. Hence, it is necessary that parents and teachers provide healthy conditions at home and the school. This would enable children to express themselves and contribute something new for the society, which may be termed as creativity………. Thoughts that arise from the blending of original self-knowledge and other forms of consequent experiential knowledge provide the motives to take action to realize them in external tangible form. This is why the best of human thinking begins and ends with how to manifest one’s uniqueness in the world. When you realize the beautiful vision of your heart, of your true Self, you will rise to manifest the greatness of your dominant thoughts in all of your actions………. Advanced topics in regular course program may promote a quality education and more prepared professionals. In this paper it is demonstrated how a requirements management framework focused on sustainability, proposed as a post-graduation thesis, was applied in product development projects of a regular graduation course…………. One of the many great things about earning online degrees is that you can do the work from the comfort of your own home. This means that you don’t have to be in class at a certain time, disrupting your home or work schedule. Instead, you can do homework or take tests whenever you have the time during the day. That could be early in the morning, late at night or somewhere in between-whatever is optimal for you and your lifestyle…………. It is not only convenient to get anything from a math degree to a psychology degree online, but it can also be less costly than traditional college or universities, too. Often, since online schools do not have a physical campus, they do not need to charge as much for attendance. Things like housing, campus building upkeep and cafeteria facilities are not typically offered, and so the cost of attendance is just tuition and books. In addition, most online education programs offer some form of financial aid. And the cost of online degrees earned from an accredited institution can often be offset with federal financial aid as well…………..
Getting quality teaching with an online degree means that you need to research each institute carefully. Talk to other students, if possible. Look at several schools offering both traditional programs and online degree programs. It doesn’t hurt to check out class size either. Try to find class sizes that are small and thus offer you the possibility of individual attention. Check into how the Institute can help you………………. Social media has an ability to encourage us to go on the right path to grab our career and websites like facebook and twitter can also help job seekers to look for a job and exploring career and employment. Social media did really helpful job in online degree, which help many people including me as well.